You've probably heard of VPNs. We've talked about them here on the site, because they're useful for unlocking more streamable content and for protecting your identity online. But what is a VPN, exactly? How do VPNs work? Do you need a VPN? If you do want one, which one should you use? Let's get to the heart of these questions. In this article, I'll answer one central question – what is a VPN? – and I'll explain how VPNs work as simply and with as few technical terms as possible. I'll talk about why normal internet users might want to use a VPN, as well as why some folks use them to circumvent laws or terms of service. I'll show you how to stay on the right side of the law while using a VPN (it's easy) and I'll put to bed the myth that there's anything shady or illegal about VPN services. Finally, I'll introduce you to a few reliable VPN services. You probably have a sense that VPNs have to do with private browsing and locations. But what is a VPN? Well, VPN is an acronym, so let's just start with what VPN stands for: Virtual Private Network. Essentially, a virtual private network simulates the benefits of a local network without forcing you to actually be local. I mentioned that your work computer is likely on a network. But what if you want to work from home? What if your business opens a second office? It's still important for all of a company's devices to be on the same network, even if they're not in the same place. Posting a bunch of private files on the internet isn't an option, of course, but a virtual private network is. That's the purpose of the virtual private network – but what is a VPN, really? It's something that exists on the internet, essentially: the connection is made over the internet, but – without getting too technical – it's private, with secure protocols for passing information and a login required of anyone who wants to get on the network. In fact, not even your internet service provider (ISP) or government agencies know what you're up to – your activities online are communicated privately to the VPN server. That server might be in your office, but it also might be hosted by a third party in some foreign country, and it's likely to be encrypted. It's as if you're connected by wires or Wi-Fi, except that the connection is through the internet, and (to describe it very loosely) is cut off from the public and other prying eyes by its secure protocols. A virtual private network is very private indeed, and that is what has made VPNs so popular among internet users. The VPN was invented for organizations, for exactly the reasons I mentioned above: it's perfect for connecting remote workers and multiple offices on one secure network, so that files can move from (for instance) New York to Los Angeles without being intercepted by any unwelcome snoops in between. But that very same functionality is what makes it useful for anyone who wants to made their internet activities private or appear to be logging on from somewhere other than where they actually are. You don't have to be a big company to benefit from using a VPN – really, we all can benefit from a little more security and privacy in our internet browsing experience. And this brings us to our next section. The benefits of a VPN: Do you need a VPN? If you're a major corporation, it helps to have all of your company's computers on the same network no matter where they are. But what if you're just one person, with just one computer? As I mentioned above, there are still benefits to using a VPN as an individual. Secure browsing. 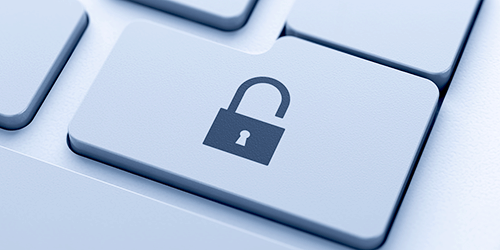 Because VPNs are encrypted, they can help you protect your private data. If you're on public Wi-Fi, it's a little risky to log into your bank's website or submit your tax return. A VPN can turn public Wi-Fi into a private browsing experience, helping to protect your secure data. Change your location. Since your browsing appears to be happening from the location of your VPN, rather than your real location, you can trick websites into giving you information and content that you might not otherwise get. In some countries, this can be used to circumvent government censorship. In freer countries, it's used for less important activities – like circumventing blackout restrictions on sports streaming services or accessing foreign streaming libraries. It's important to note that using VPNs in this manner is against the terms of most streaming services, and we're not recommending it. So do you need a VPN? If you live in a country where it's the only way to get reliable information, you may. If you frequently use public Wi-Fi and want to be able to enter sensitive information online, you probably do. Otherwise, you probably don't need a VPN – but that doesn't mean that you wouldn't benefit from one. The truth is that VPNs make your browsing experience more secure, so while they may not be strictly essential, they are absolutely helpful to any and every internet user. Let's get one thing out of the way before we go any further: VPNs are absolutely, 100% legal. They are useful, safe, and completely legitimate. VPNs can, of course, be used to do illegal things. They're great for maintaining privacy, covering your tracks, and making you look like you're somewhere other than where you are. Some people use them to hide illegal activities from the government. Others use – or used – them to trick Netflix into thinking they're in Canada so that they can watch a movie that isn't available in the United States. But plenty of normal people use VPNs to protect their internet browsing so that they don't get their identity stolen. Think of a VPN like a ski mask: ski masks are perfectly legal and very useful, and just because some people use them to rob banks doesn't mean you can't stroll into REI tomorrow and buy one. It's very easy to stay on the right side of the law when using a VPN. Just browse normally, with the comfort of knowing that you're secure. Consider turning your VPN off when using streaming services, as some streaming services prohibit their use. Different streaming services enforce this to different degrees, and folks who get caught may lose their subscription but are probably not going to end up in jail, but play nice with everyone and you won't have to worry about crackdowns like Netflix's unpopular VPN policy change. Don't tell Netflix that you're in Canada if you're not, and don't tell MLB.TV that you're outside of New York if you're sitting in Midtown. There's a ton of great content available legally, and there's no reason for cord cutters to resort to using illegal methods to gain access to streaming video. Cord cutting progress happens when pro-cord cutter companies are rewarded, not stolen from, so do the right thing! The best VPN services: Which VPN service is right for you? Let's say you want to use a VPN. How do you do so? Well, you most likely don't have a bunch of VPN servers of your own in a bunch of countries around the globe. Fortunately, there are companies that do, and it's their business to offer you secure browsing. Good VPN services are paid subscriptions that let you log in and choose where you want your VPN to be today. There are plenty of respectable VPN services to choose from, which leads us to the next question: what is the best VPN service? A full ranking of VPN services is an article for another day, but there are a few VPN services in particular that pop up on “best of” lists again and again. Here they are, in alphabetical order – you can't really go wrong with any of these. Note that some of the more popular ones are known to services like Hulu and Netflix, so if you try to use them for nefarious purposes, you'll find yourself blocked off from those streaming sites for as long as you have the VPN active.